Congratulations to Hopkins Elementary Assistant Principal, Tiffany Absher, on being 1 of 20 administrators named Region Assistant Principal of the Year by the Texas Elementary Principals & Supervisors Association(TEPSA)! The peer-based award recognizes assistant principals for their commitment to student learning as evidenced by exceptional school leadership. 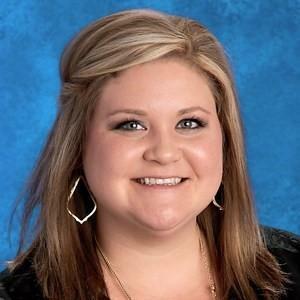 Mrs. Absher will be recognized at the TEPSA Awards Reception in June, and will have the opportunity to be selected as the 2019 National Assistant Principal of the Year for Texas! AUSTIN, TX – Twenty administrators have been named Region Assistant Principals of the Year by the Texas Elementary Principals and Supervisors Association (TEPSA). The peer-based award recognizes assistant principals for their commitment to student learning as evidenced by exceptional school leadership. One of these region principals will be selected as the 2019 National Assistant Principal of the Year for Texas. Supported by Horace Mann, the national award recognizes leaders who are committed to excellence through programs designed to meet the academic and social needs of all students; have firmly established community ties with parents and local business organizations; show strong educational leadership by setting high expectations for school staff and students; and exhibit exceptional leadership in a particular school program. Honorees will be recognized at the TEPSA Awards Reception Wednesday, June 12, at the Austin Renaissance Hotel. “These assistant principals play a critical role on their campuses ensuring Texas students succeed. We are happy to recognize their work and commitment,” said TEPSA Executive Director Harley Eckhart.